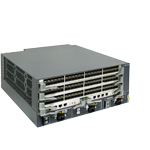 The S9300 is a high-end terabit routing switch developed by Huawei for the service-focused network. 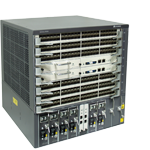 It is designed based on the intelligent multilayer switching technology of Huawei to provide intelligent service optimization methods such as traffic analysis, comprehensive QoS policies, controllable multicast, integrated security guarantee in addition to stable, reliable, secure, and high performance L2/L3 switching services. In addition, it features super high extensibility and reliability. 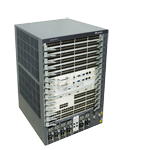 The S9300 is applicable to WANs, MANs, campus networks, as well as the core layer and aggregation layer of data centers to help enterprises build an application-oriented network. 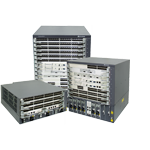 It integrates the switching and routing functions to build an end-to-end integrated network. The S9300 has three models: S9303, S9306, and S9312. Their switching capacity and port density can be expanded continuously. The three models use universal modules and components. This not only ensures the extensibility of the equipment, but also protects the investments of carriers. In addition, the S9300 adopts various innovative energy saving technologies, which greatly reduce the energy consumption and noise of the equipment without affecting the performance and stability of the system. By developing the S9300, Huawei can provide solutions for sustainable development of networks.